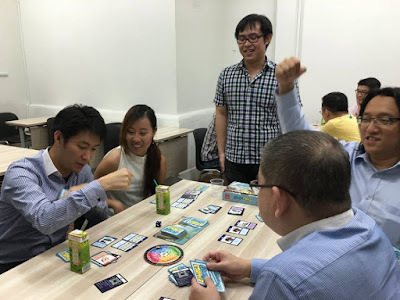 Courtesy of the private invitation by the owner of Wongamania Board Game, managed to play the revamped Wongamania - Banana Economy game with a bunch of financial bloggers (you know who you are) 2 days ago at the Big Fat Purse office. This is not the first time I have played the Wongamania game but this "evolved" version (if you are a Pokémon Go players, you will know what I meant when I said evolved!) has more blast with plenty of fun. In fact, this is the third time that I've played the game (click here and here for my recount of the previous 2 games). 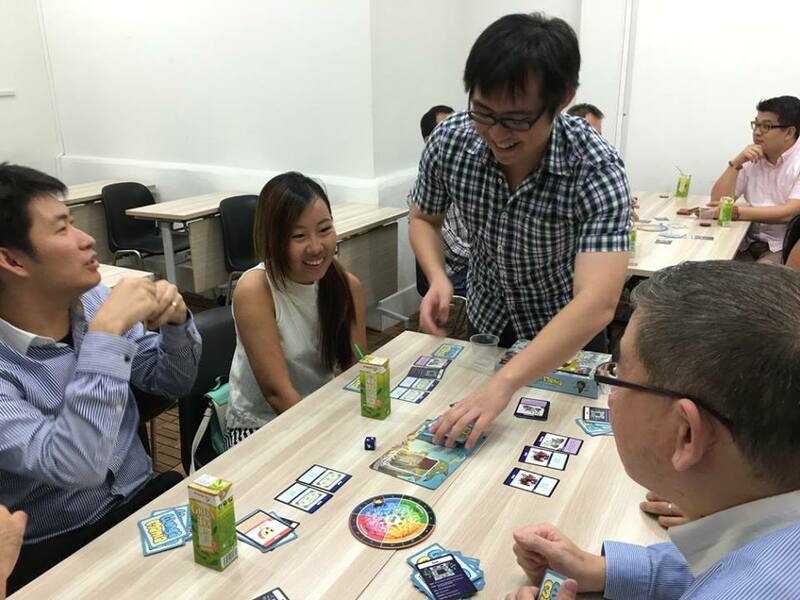 This time round, it is a bit special as we have the privileged to enjoy the yet-to-be-officially-launch revamped version : Wongamania - Banana Economy (HINT : The game will be officially launched in Singapore on 9th September 2016 at Kinokuniya @ Ngee Ann City, 1 to 6 PM). So, what are the major attraction in this evolved version? Within 2 rounds, most of us have gotten the hang of it! 2. 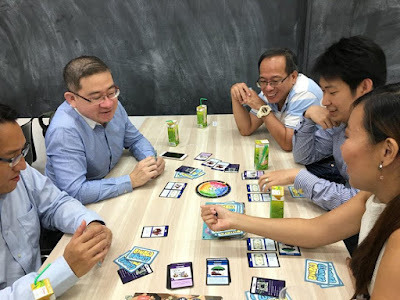 There are more dimension and variety of the cards being introduced, for example, previously there is only one type of "Bond" but now it has "Bond", "Junk Bond" and "Convertible Bond", also, it has the "Insurance" cards which are getting closer to the real financial environment. "I am a Value Investor, I am sure I will win!" 3. There are slight change to the game rules but I like the introduction of the modular variation of the game e.g. you can remove certain category/color of game cards (deemed to be more "cheem" [difficult] for the youngsters) to make it more suitable for young adult/teenagers to enjoy the "Power Down" version of the game. Same same but difference! "YES! The game is on my hand"
All in all, Wongamania - Banana Economy is a great social board game that you can have tremendous fun and laughter with your friends and family while picking up some financial knowledge along the way. 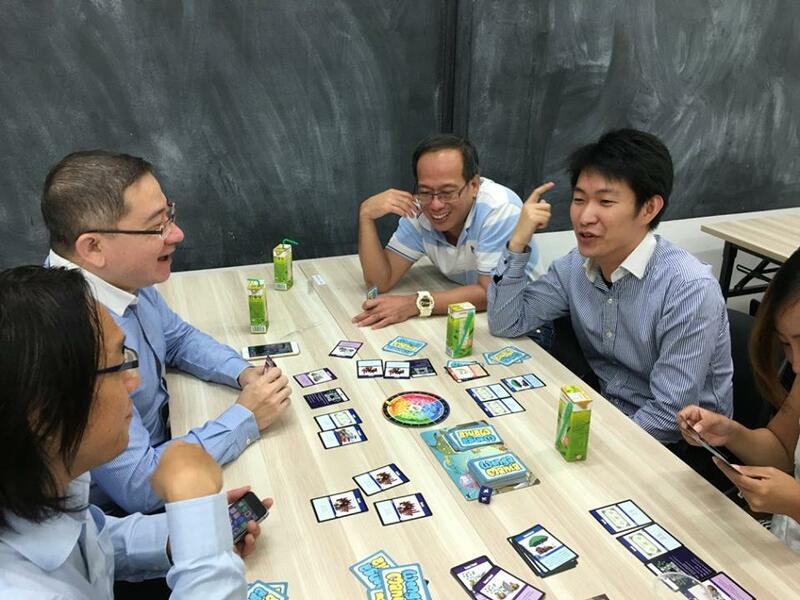 It is best suited for 4 to 5 players for a session of the game (which usually lasted for about 40 mins to 1 hour). 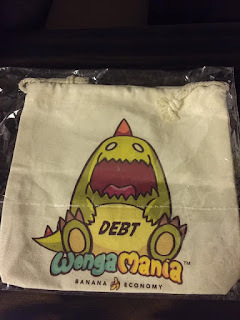 P/S : Am still waiting for my Wonagamania - Banan Economy board game (supported them via Kickstarter) which is supposed to be in the shipment now.